Sherlock Holmes is back on the case in this collection of sparkling short stories, in which we learn about Holmes' early days as a sleuth, encounter a seemingly murderous widow, and meet the great detective's brother, Mycroft, for the first time. 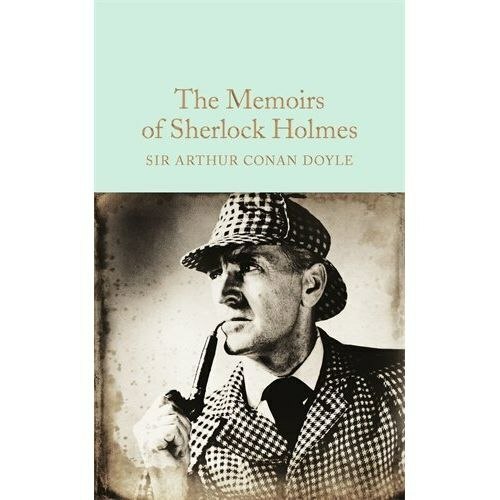 And, in 'The Final Problem', Holmes comes face-to-face with his nemesis, Professor Moriarty, in a battle of wits that could kill them both.This Macmillan Collector's Library edition features an afterword by David Stuart Davies - a Fellow of the Royal Literary Fund and an authority on Sherlock Holmes.Designed to appeal to the booklover, the Macmillan Collector's Library is a series of beautiful gift editions of much loved classic titles. Macmillan Collector's Library are books to love and treasure.